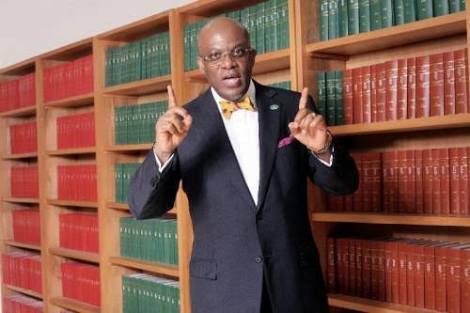 The Economic and Financial Crimes Commission (EFCC) has filed a N1.4 billion fraud charge against Nigeria Bar Association (NBA) President Paul Usoro (SAN), at the Federal High Court in Lagos. Justice Muslim Hassan fixed Dec. 10 for EFCC to arraign Usoro. The anti-graft agency, in a charge marked FHC/418c/18, alleged that Usoro, from Akwa Ibom, converted and laundered the money in connivance with Governor Udom Emmanuel. The charge sheet, signed by EFCC Counsel Rotimi Oyedepo, did not list Emmanuel as a defendant. It did, however, mention four other defendants. The anti-graft agency claimed that the N1.4 billion belonged to the Akwa Ibom State government. Lai Mohammed In N2.5bn 'Fraudulent' Payment Mess?